On the morning of the 25th Jan, this unusual looking bird was observed at the overflowing water on Fogg Dam. It created an optimistic flurry and conversation. 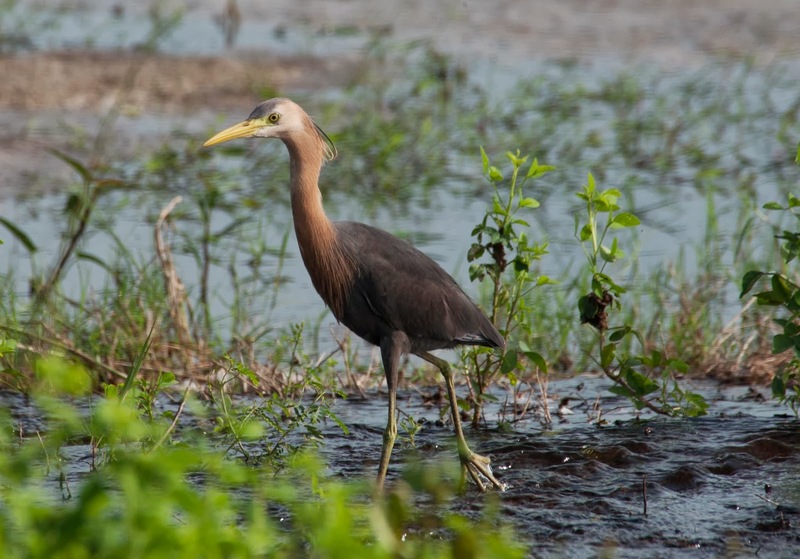 The bird is a Pied Heron (Egretta Picata) and is a Red or Rufous morph. Similar sighting have been seen in the past at Leanyer Waste Treatment Plant but with varying degrees of the Red (and the cap prominent on the Pied). According to Birding expert Jeff Davies, he receives 1-2 reports of this morph on an annual basis. Its an interesting find and needless to say, a 'Smart' looking bird.